I'm just plain knackered. He's been up at 3:30am most mornings. And at 5am I give up and get up with him. This combined with my daughter not wishing to attend preschool has made for a very tiring week. 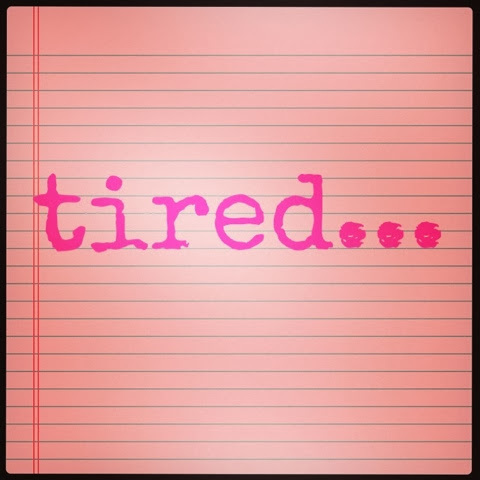 Tired is bad as it makes you a bit short tempered and crackers. I find myself being a bit emotional and sometimes sob at the oddest thing. Sleep is definitely at a minimum when you become a parent. With the first few months mainly containing. Well. Non! However a poorly boy does mean lots of cuddles which is ace. And a feeling of you really being needed. Tonight. I'm going to have a sneaky Malibu, a Chinese and I will watch celeb bb. And I'll be so happy doing this. Because tomorrow it's the hubs turn to get up. Boom!!!!!! Good old hubby indeed! You deserved that lie Lin though!